Angela Yvonne Davis was born 1/26/44 in Birmingham, Alabama. As a girl scout she protested against segregation. She went to a Quaker school in New York during her junior and senior years in high school. She was one of three black students at Brandeis during her freshman year. She was prosecuted for conspiracy in 1970, spent 18 months incarcerated and was acquitted. Then Governor Ronald Reagan tried to have her barred from teaching in the state of California because of her association with the Communist party. She ran for Vice President of the United States twice under the Communist Party USA ticket. 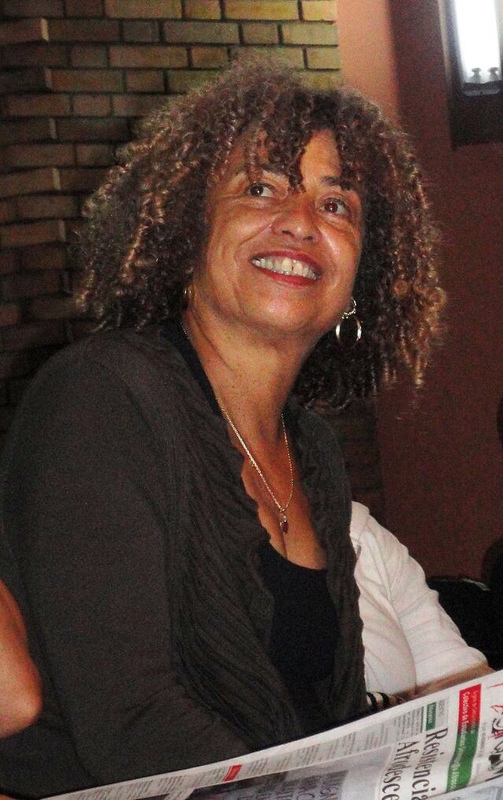 She co-founded Critical Resistance which called for the abolition of the so-called prison-industrial complex. She came out as a lesbian in 1997. Peace, love, gratitude, joy, faith, compassion, and blessings.